First off, it's beautiful. Showing off gadgetry is easy but showing off this Lenovo is something else. Apart from the two available finishes (hairline and textured), the G450 is awesomely sleek! So thin is this Lenovo that sliding it in and out of your bag is as natural as grabbing a handful of peanuts during inuman. You won't be straining a pretty muscle carrying this 2.4kg laptop. Its performance is just as beautiful. A high-definition 16-inch screen, along with Intel Graphics Media Accelerator 4500MHD guarantees spectacular visuals. 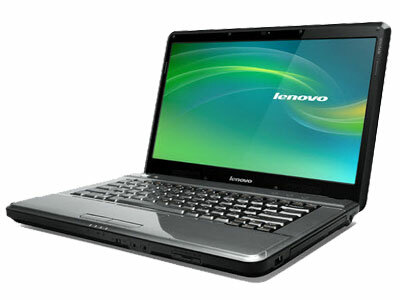 Its Intel Core 2 Duo Processor T6500 and 2 GB of RAM offer hitch-free performance. You can open a mountain-load of windows and simultaneously run applications and this laptop will still be going. Saving a ton of files is possible, too, since this laptop has 320GB of hard drive space to spare. Its WiFi b/g capabilities, LAN port and 56k modem only mean quality Facebook time. Three USB ports, meanwhile, assures you a headquarters of sorts. Plug away your gadgetry and do a big file transfer party. All in one go. Convenient, yes? But the happiest thing about the G450? It takes security concerns seriously. It has a Veriface tech, which lets you use your face as password. At under P33 grand, the G450 is most certainly a value-packed deal.